Frank Schneider, born on 13 October 1942 in Großerkmannsdorf (Saxony), studied conducting at the conservatoire in Dresden and musicology at the Humboldt University of Berlin. He was active in various academic institutions and gained his doctorate in philosophy in 1975. After that he spent five years as a dramaturg at the Komische Oper Berlin. From 1980 to 1991 he was working at the Institute of Aesthetics and Art Studies of the Academy of Sciences of the GDR, where he was appointed as professor of musicology in 1989. He has published numerous studies and books about composers and music of the 20th Century, and political portraits of great composers in music history. 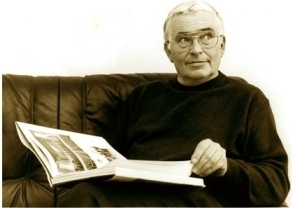 As a specialist in contemporary music, he and Ulrich Dibelius were responsible for the book series "New Music in Divided Germany" and together with Hermann Danuser he published the CD-Anthology "Music in Germany 1950-2000". From 1992 to 2009 he headed the Konzerthaus Berlin and the associated orchestra as artistic director. Michael Schneider developed the website and the underlying database in order to allow all interested parties access to this extensive collection via Internet. In several years of work all entries have been transferred and edited. In addition, the content has been translated into other languages.